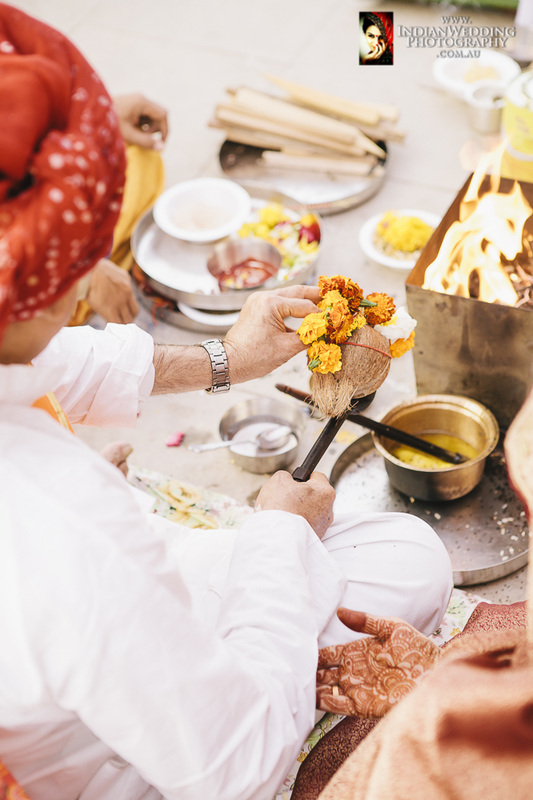 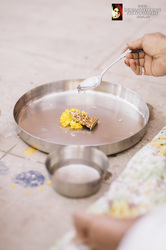 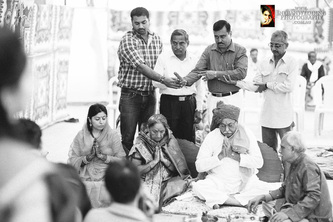 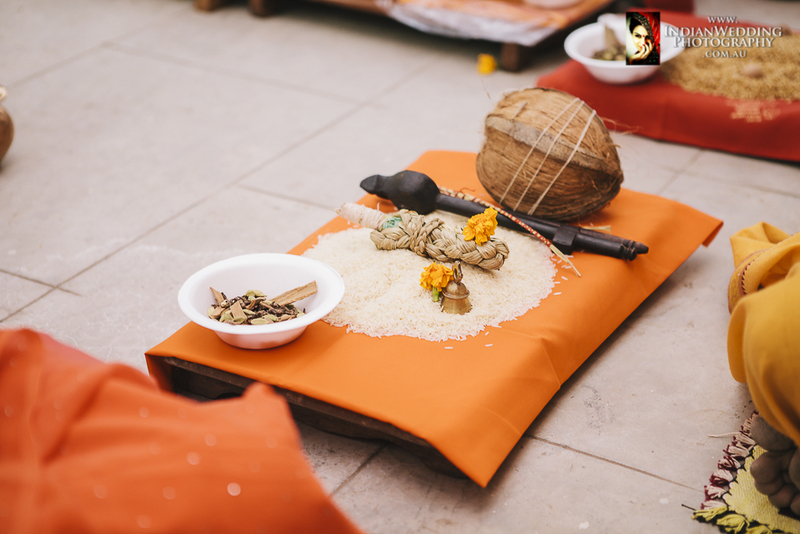 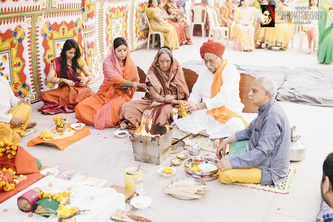 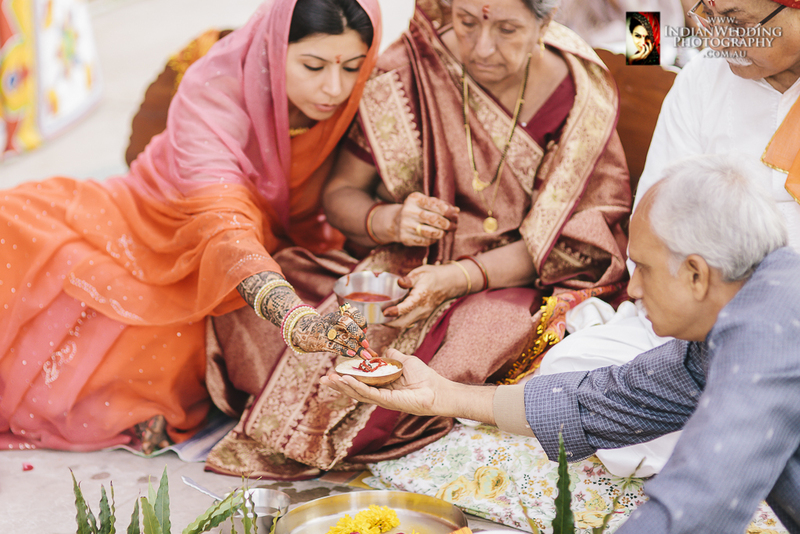 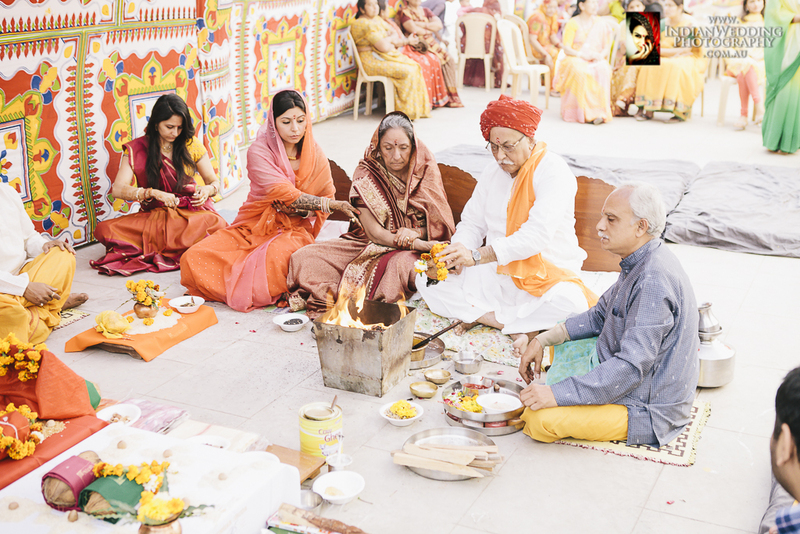 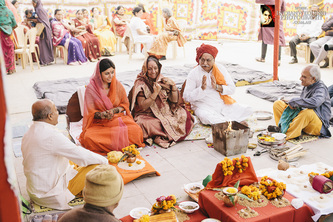 Haldi rasam (ritual) is a very old Indian ceremony, preceding the wedding. 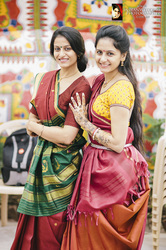 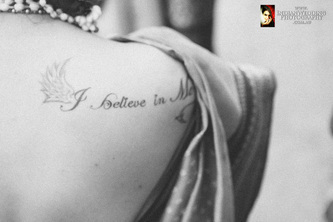 It generally happens after the mehndi (henna) ceremony, either the day before or the morning of the wedding. 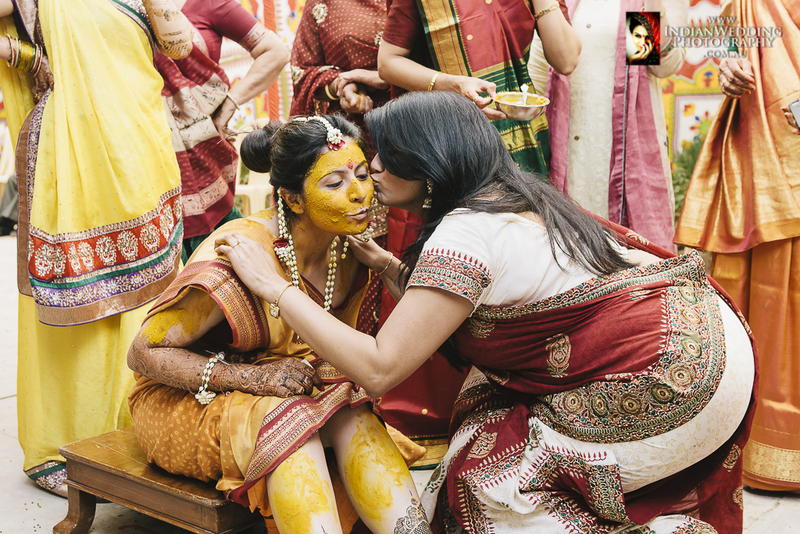 This ritual was introduced prior to the beauty salons and the commercial facials and it is a beautifying session for the bride. 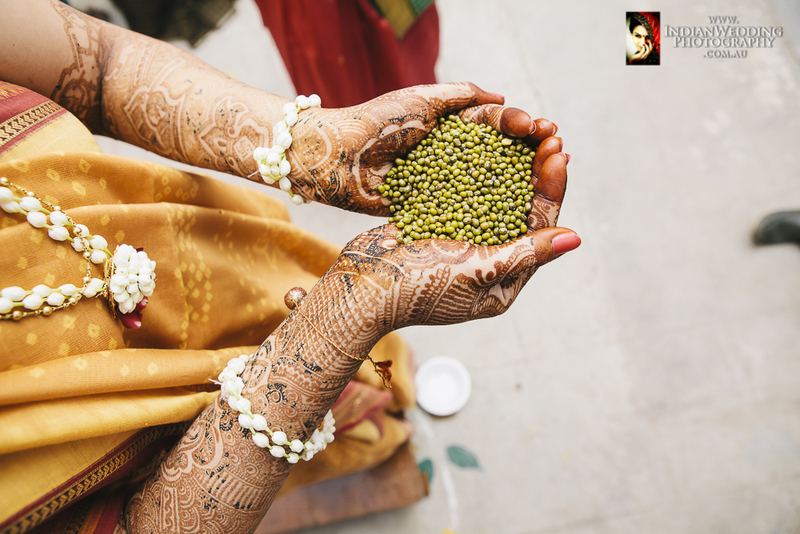 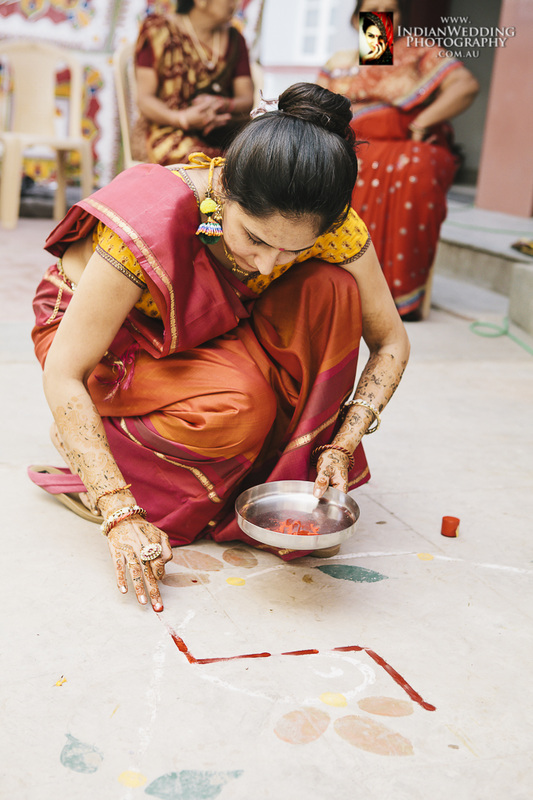 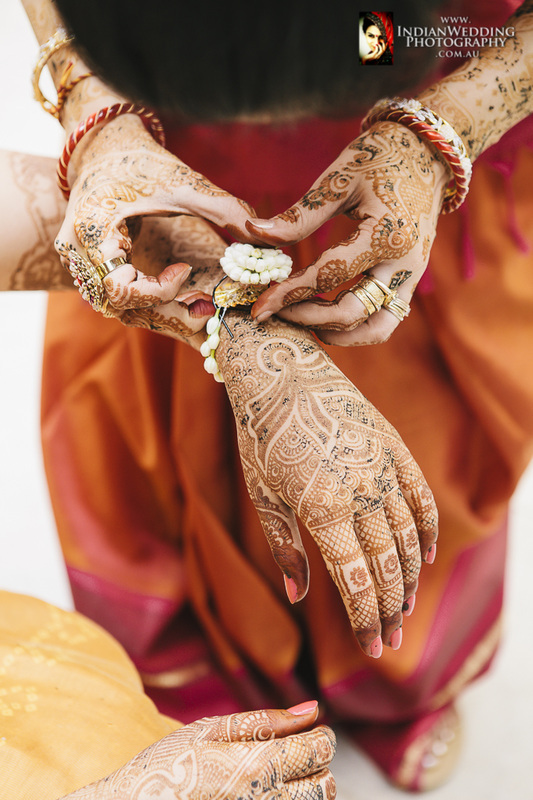 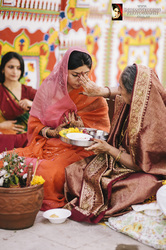 Once the mehndi and haldi are applied, the bride-to-be is forbidden to leave the house until the wedding ceremony, in case an evil eye is cast on her and the impending wedding. 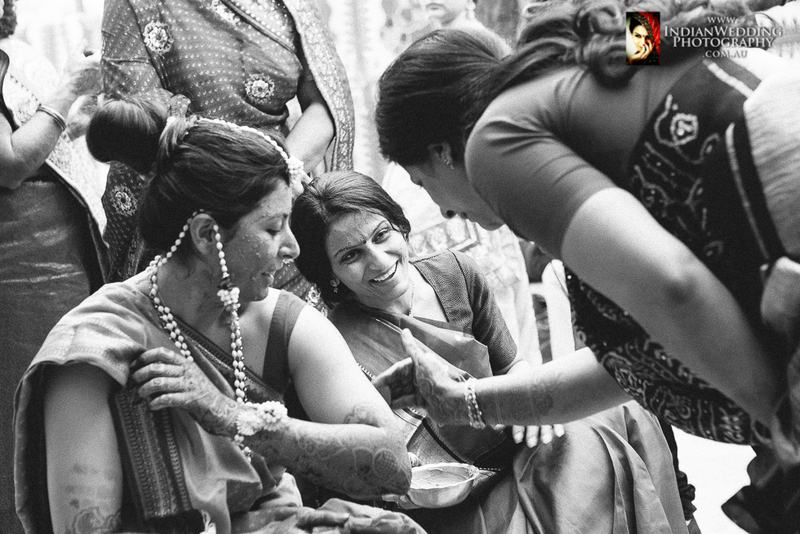 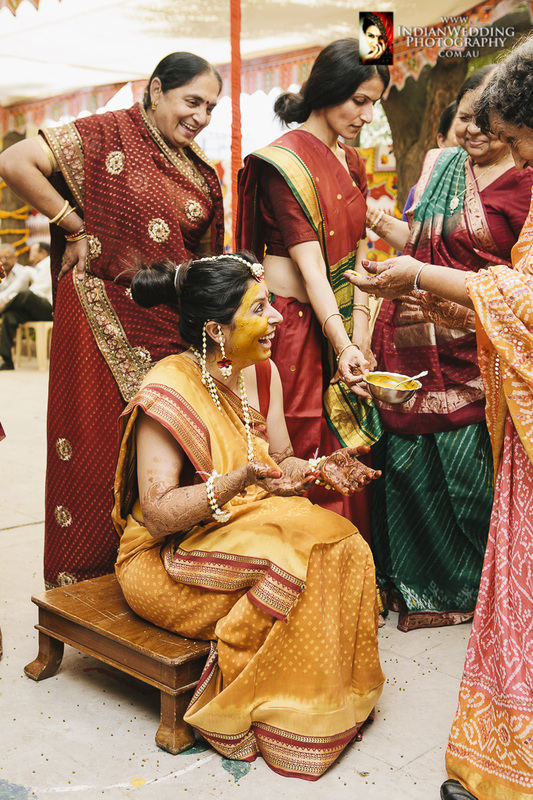 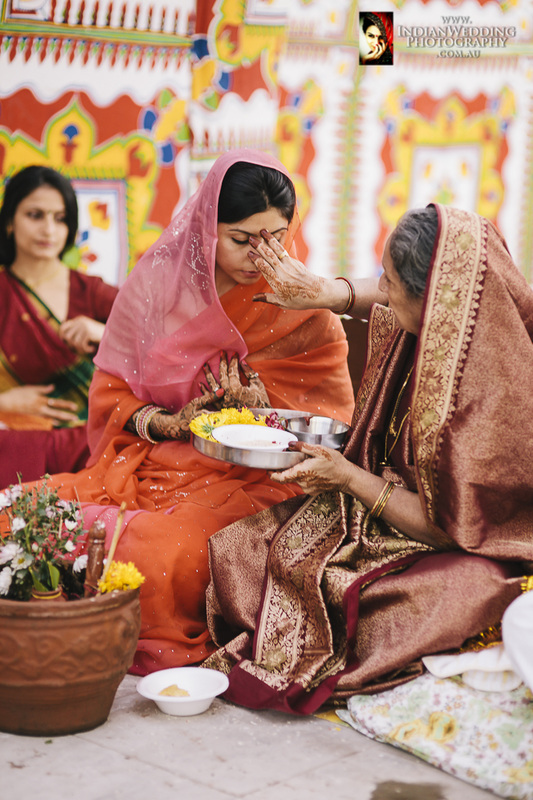 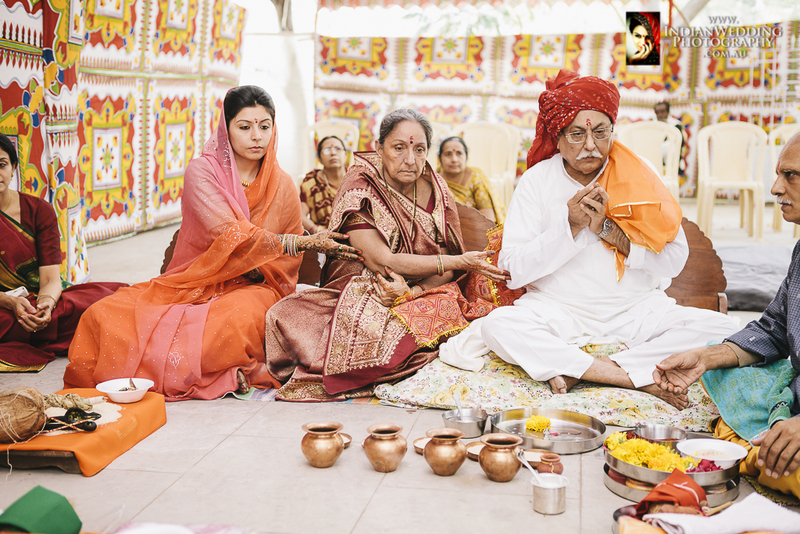 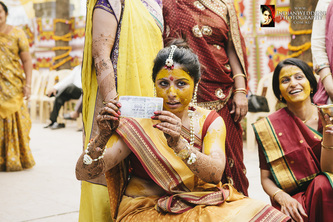 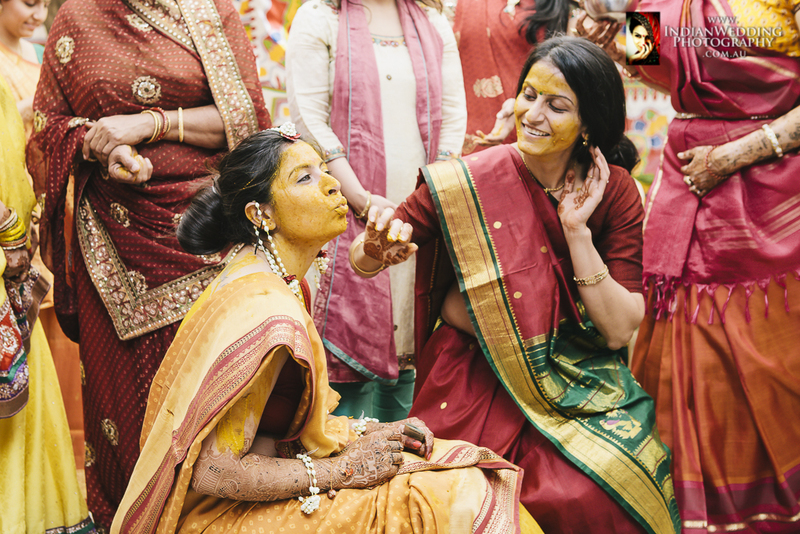 The women of the family apply haldi on the bride-to-be to purify her (anti-septic properties) and make her look beautiful for the wedding ceremony. 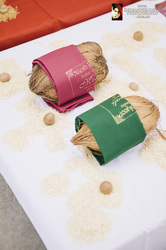 Turmeric is mixed in with rosewater, sandalwood and other purifying and fragrant ingredients and made into a paste. 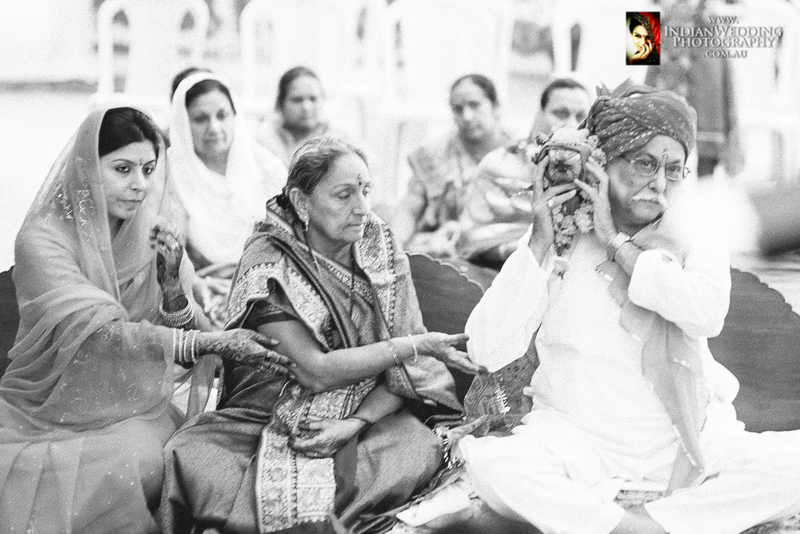 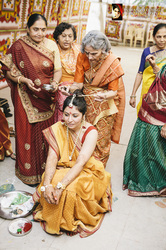 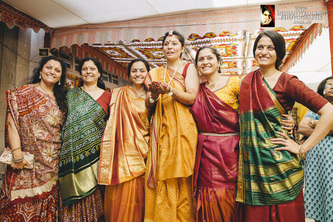 Female members of the family sing and dance as family and friends apply haldi on the face, arms and legs of the bride-to-be. 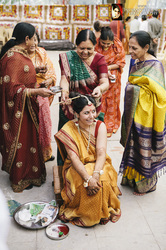 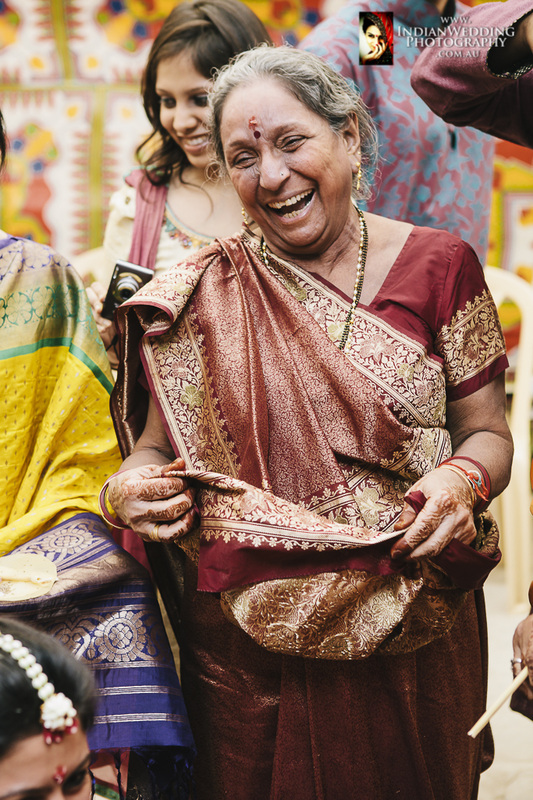 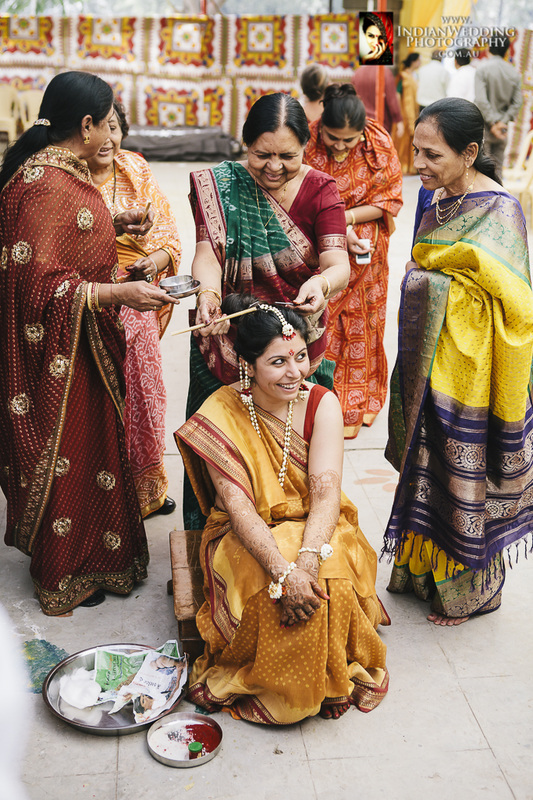 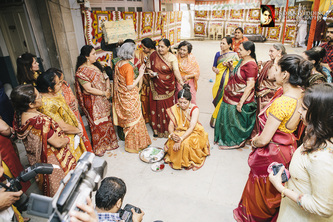 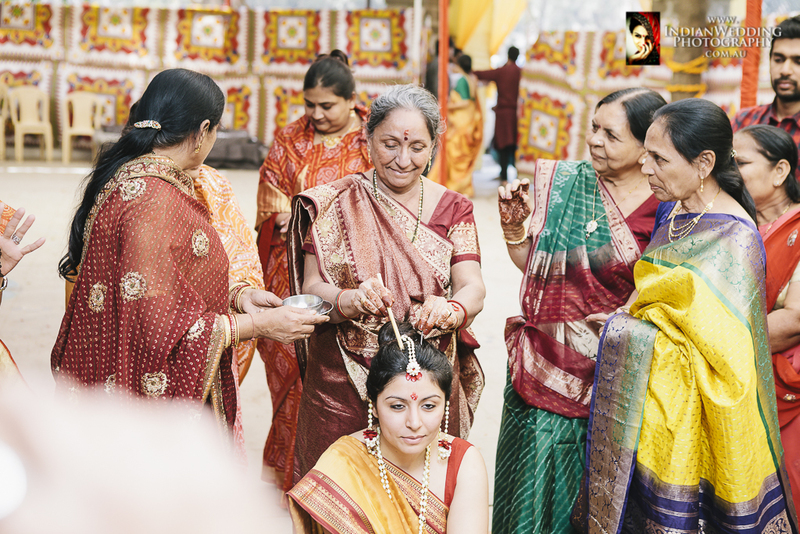 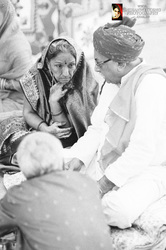 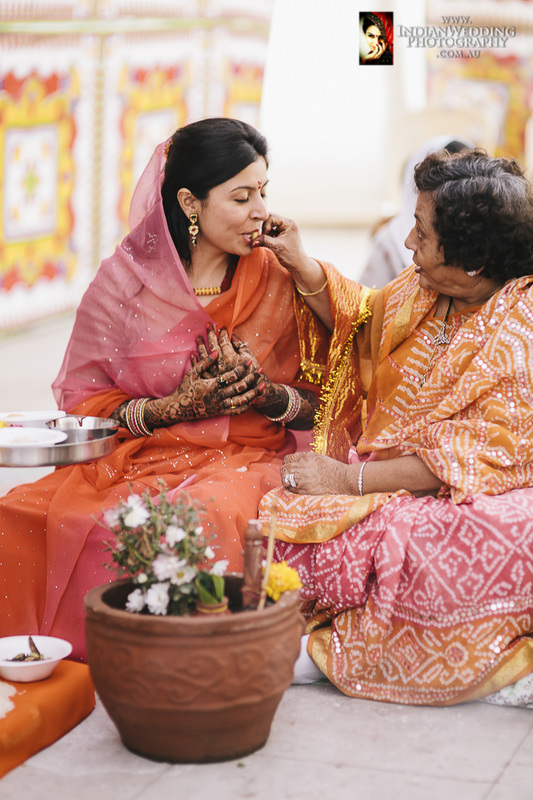 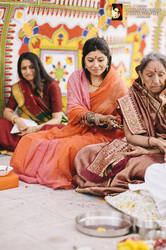 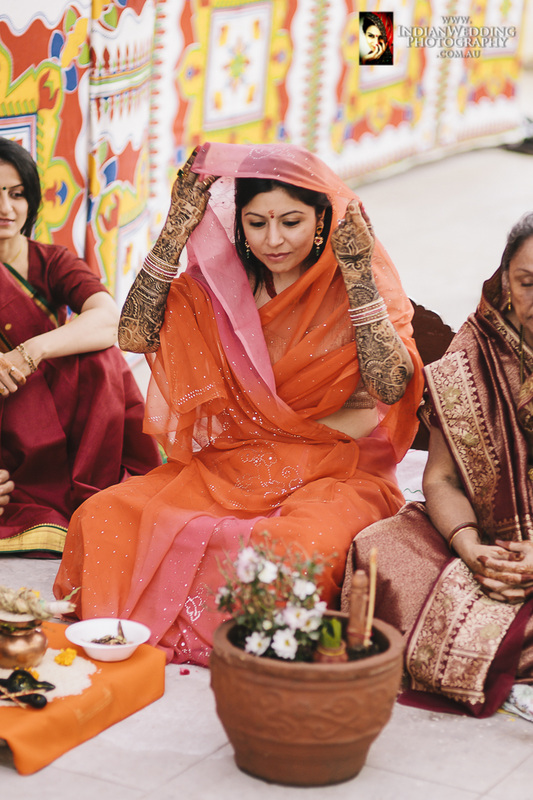 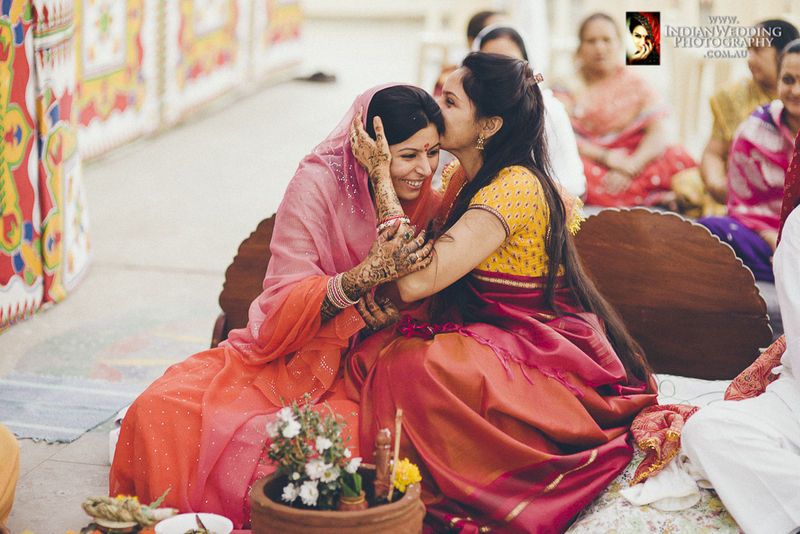 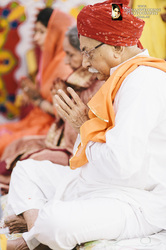 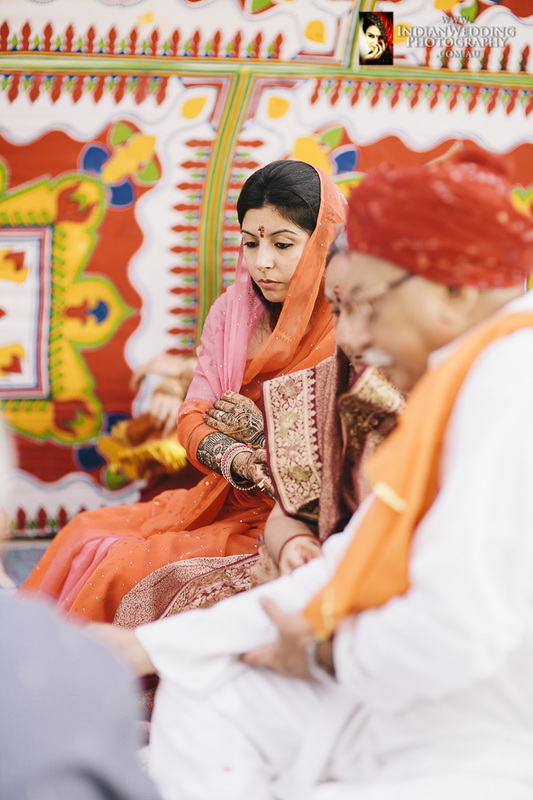 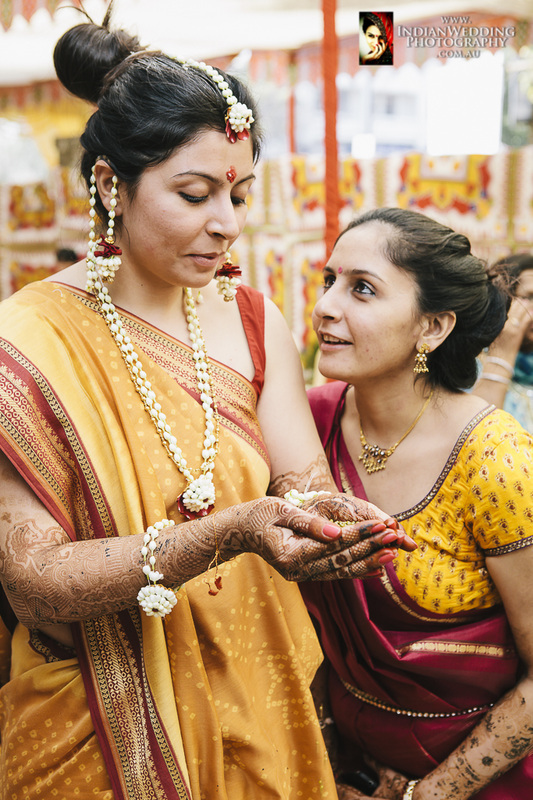 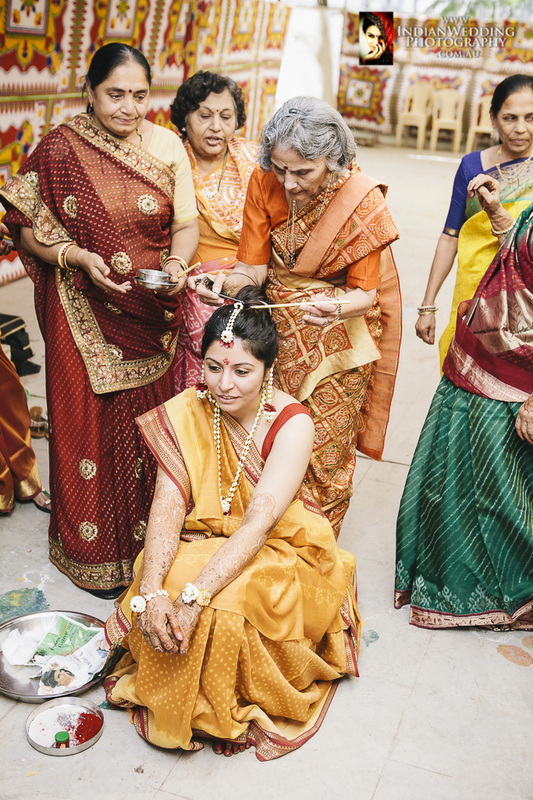 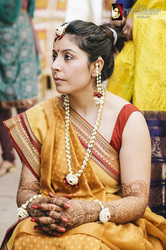 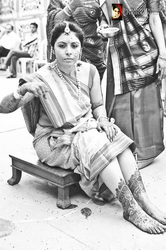 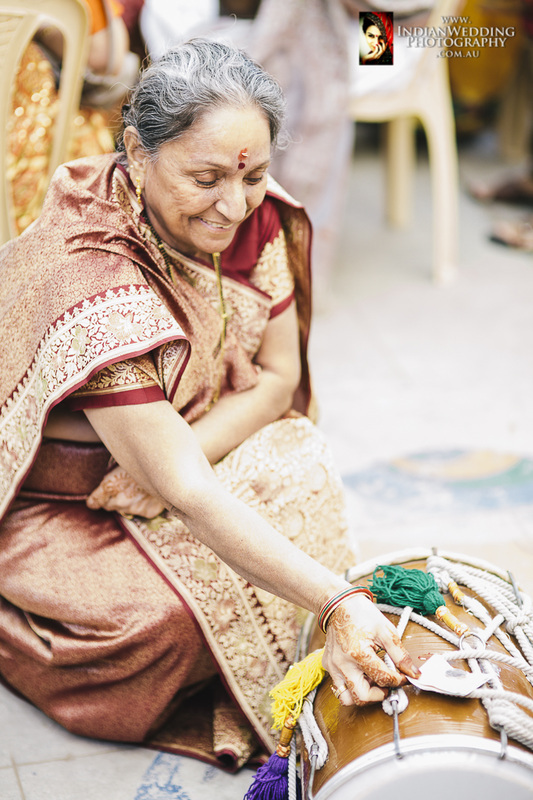 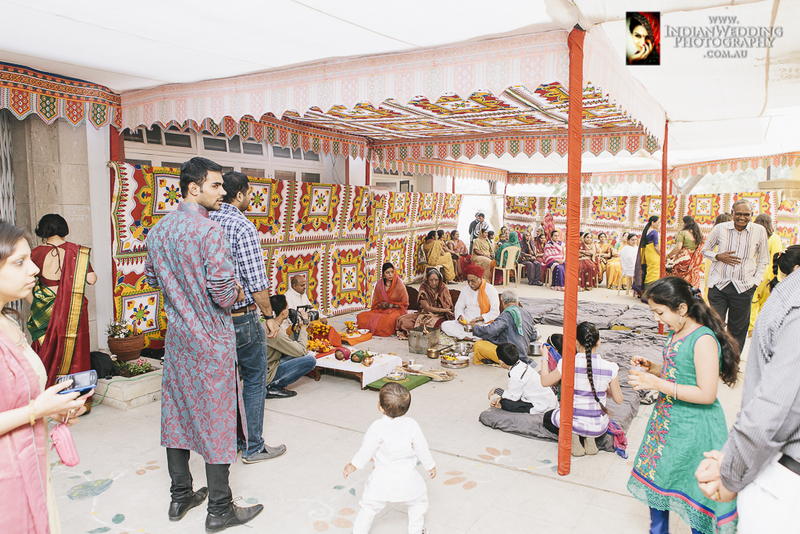 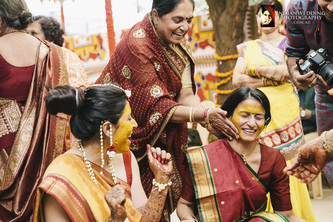 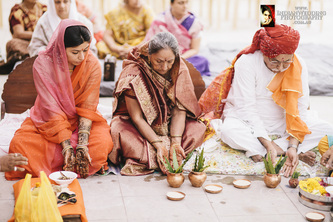 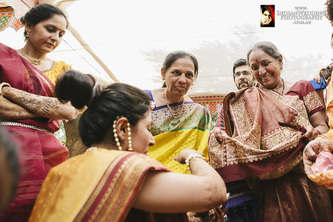 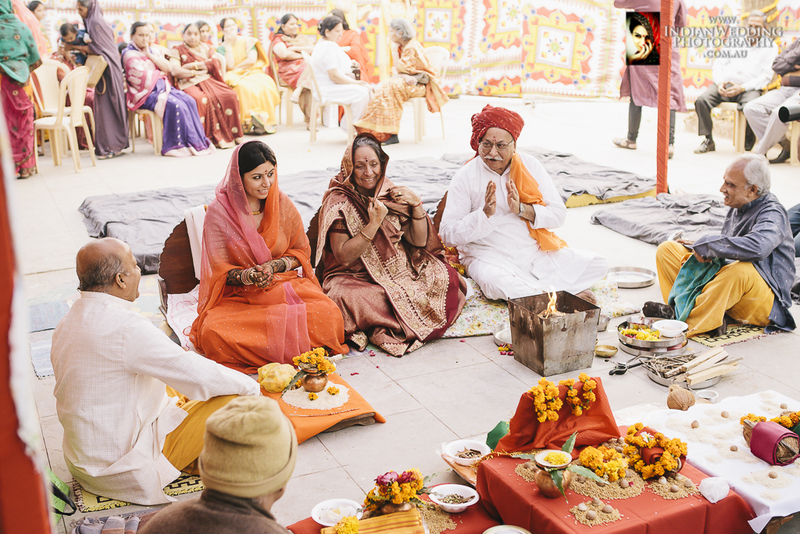 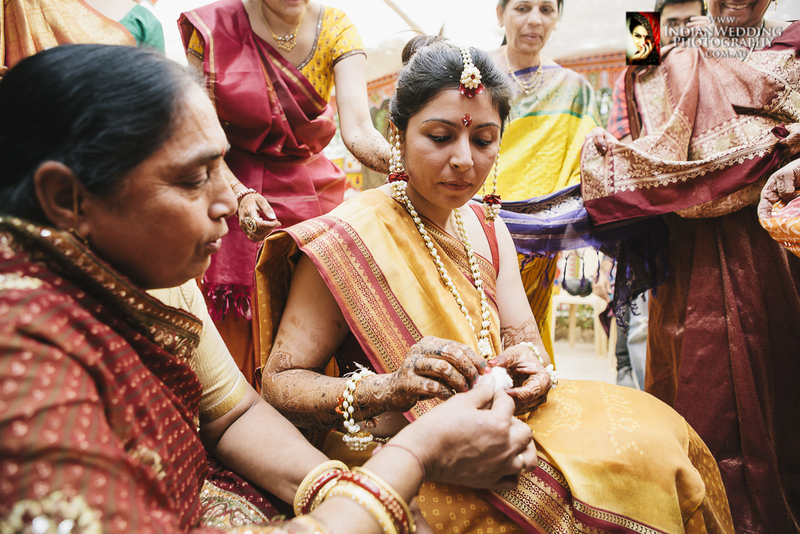 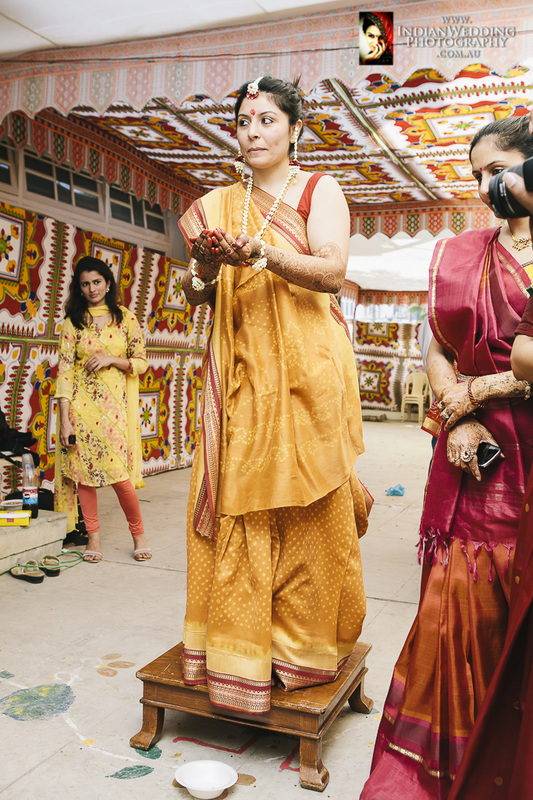 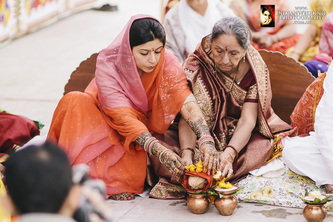 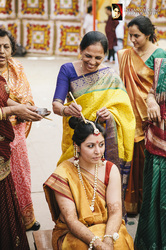 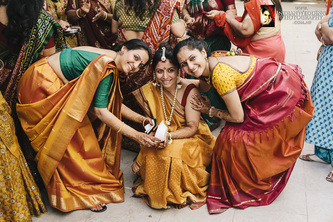 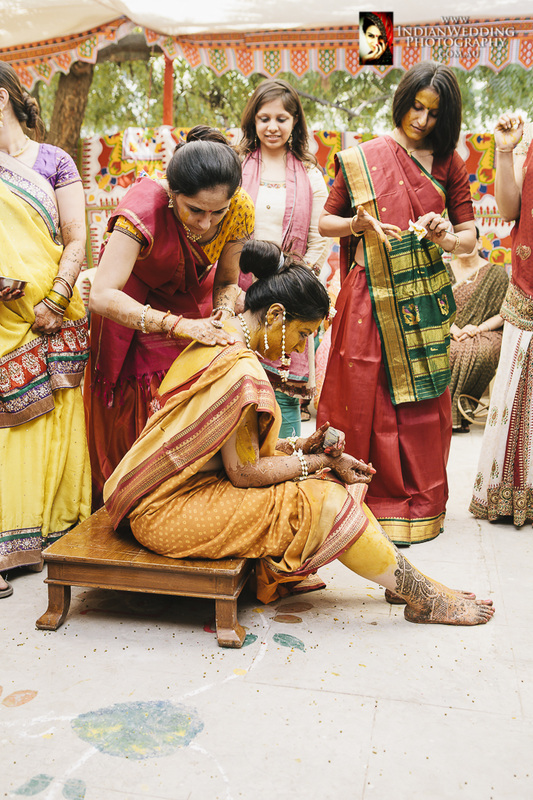 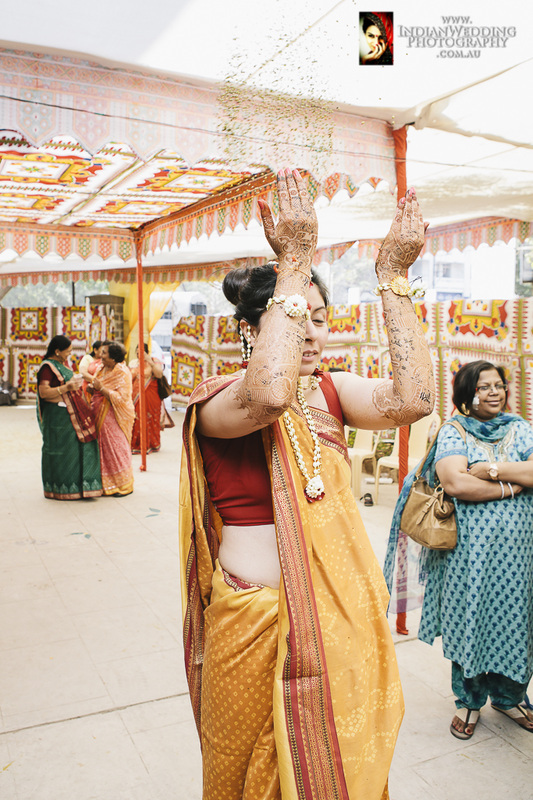 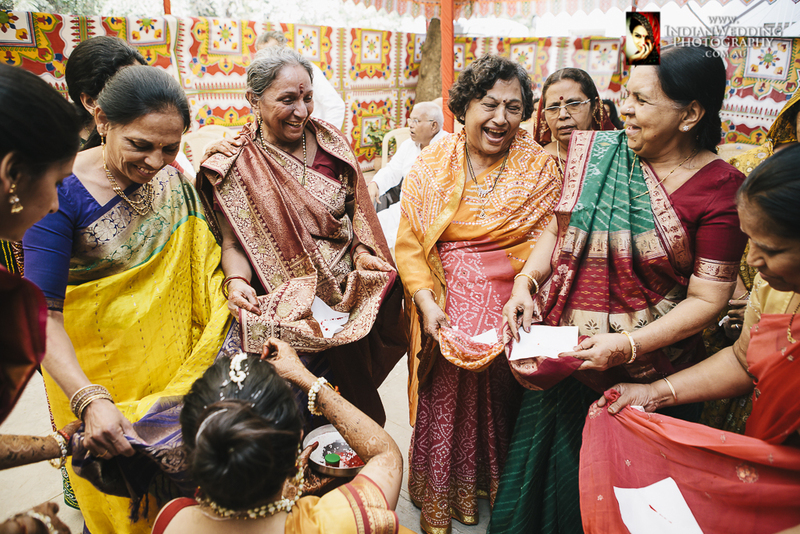 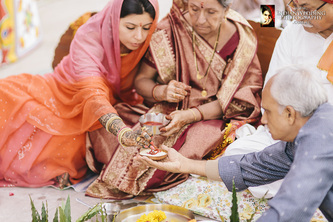 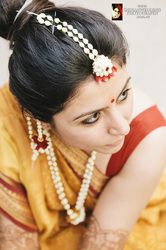 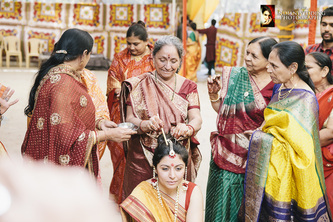 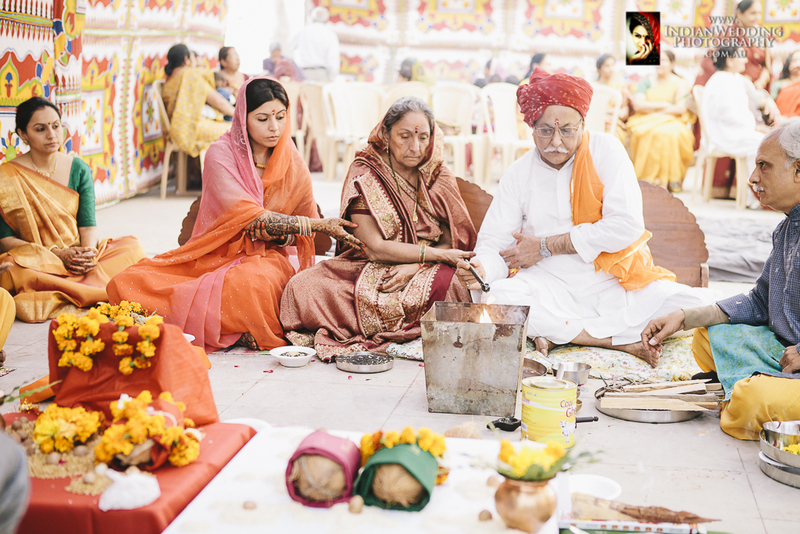 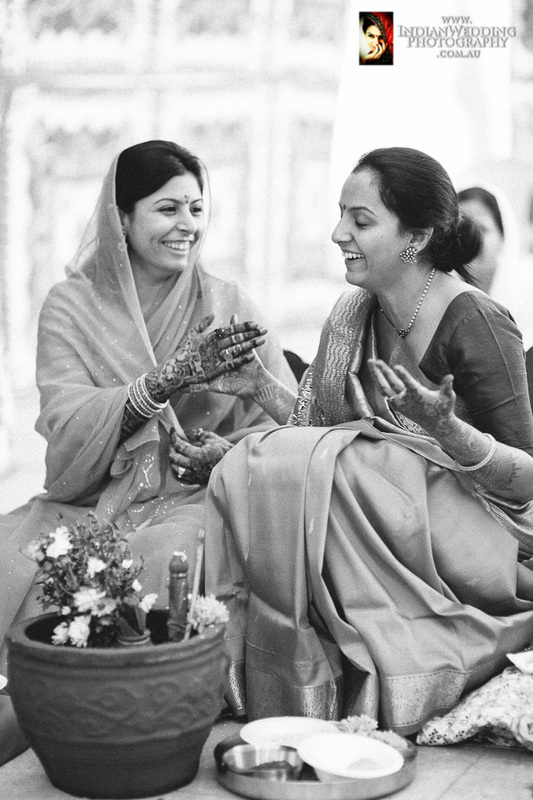 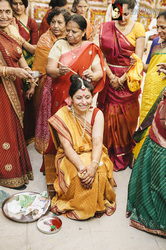 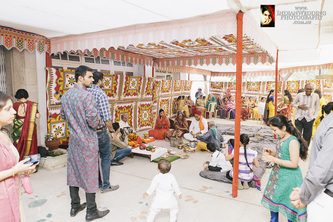 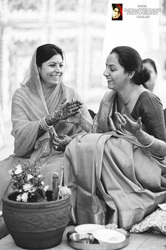 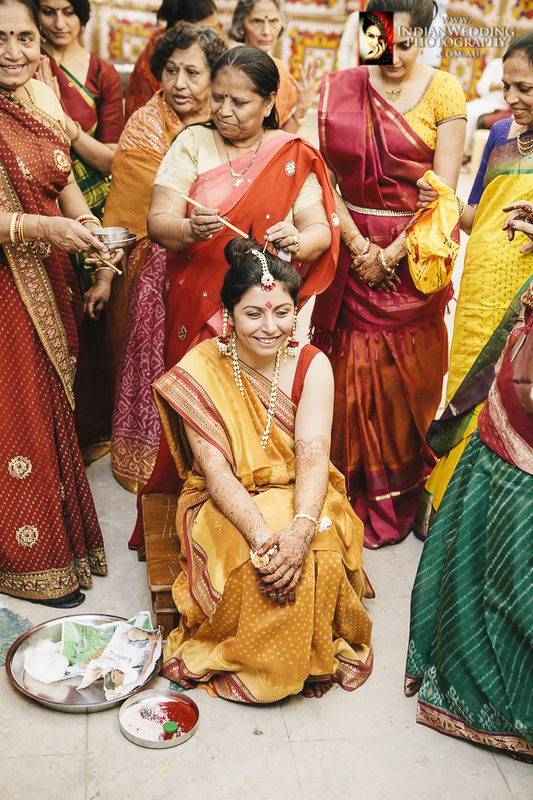 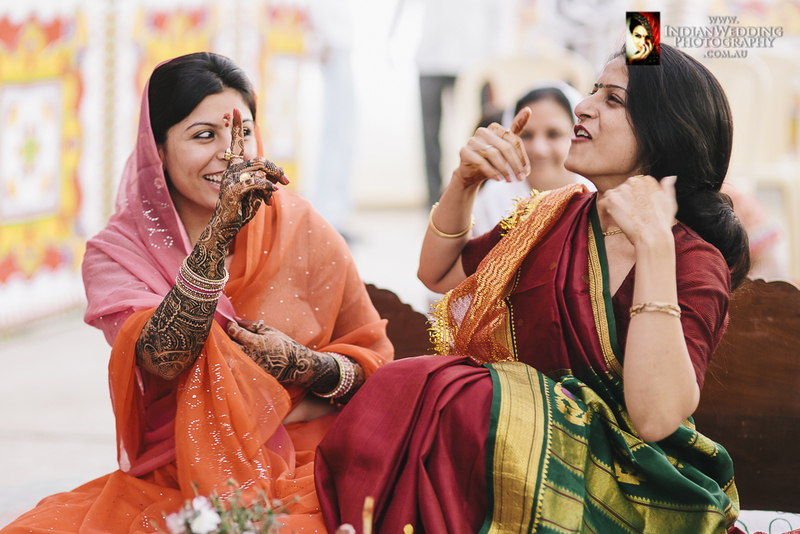 When the ceremony is over, the mother of the bride or another close female member assists the bride-to-be in washing off the haldi, bathing and shampooing her hair. 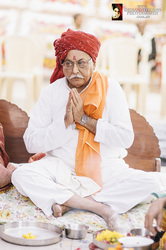 The reason for assitance is also that the mehndi does not wash off and stays fresh until the wedding night when the groom is asked to look for his name in the intricate henna design. 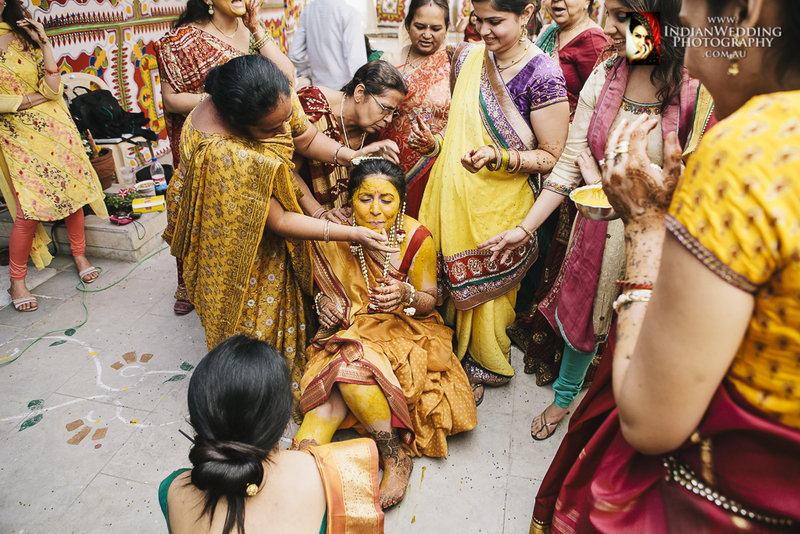 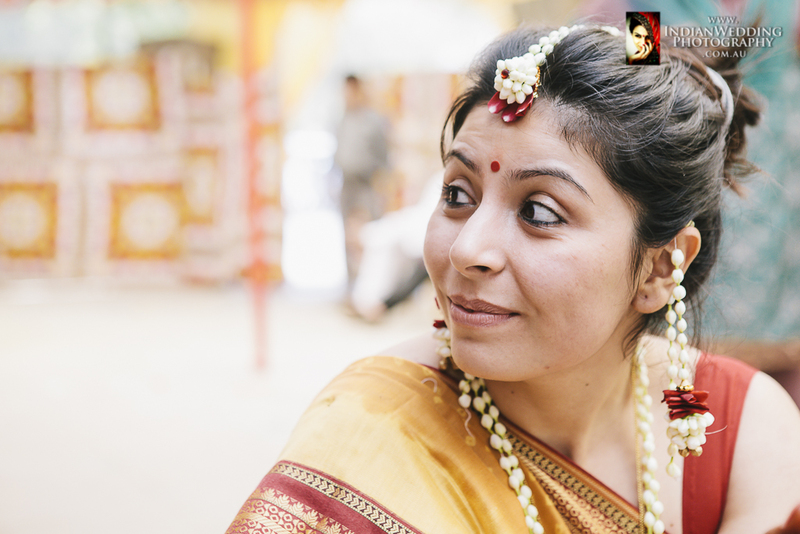 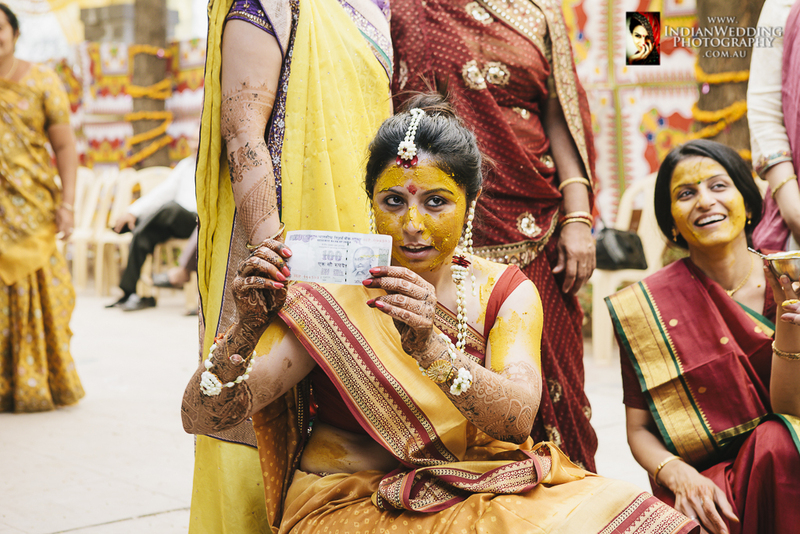 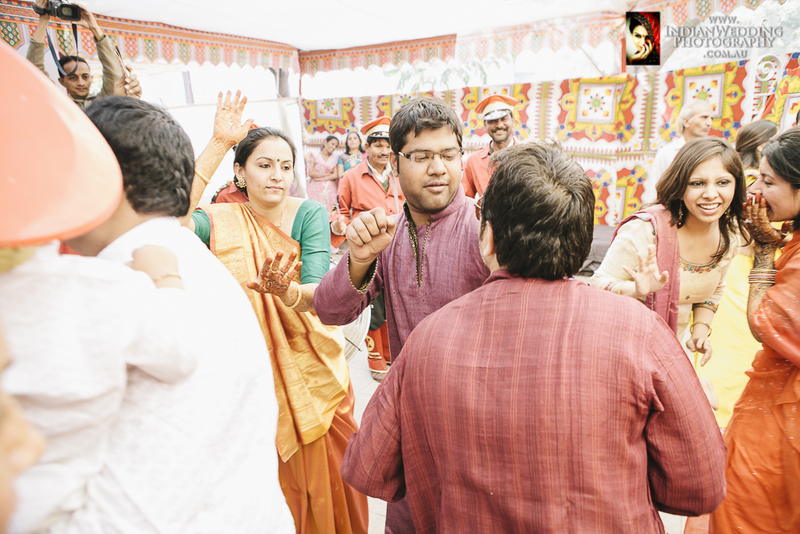 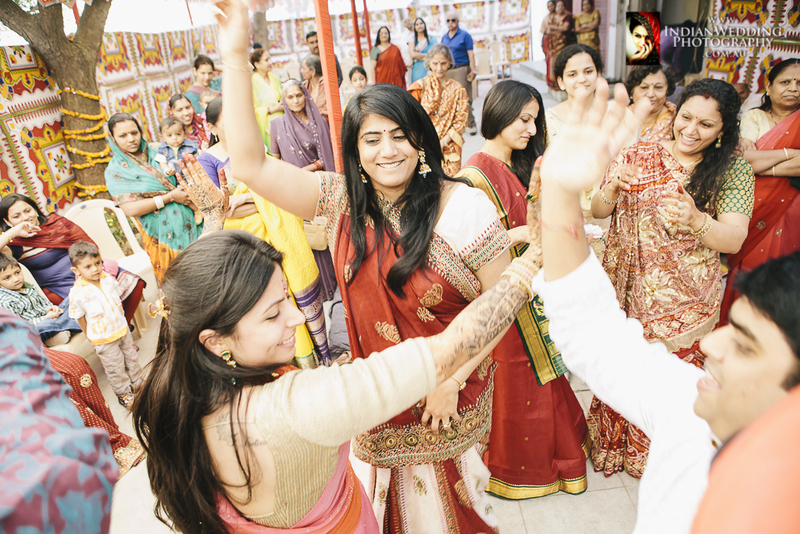 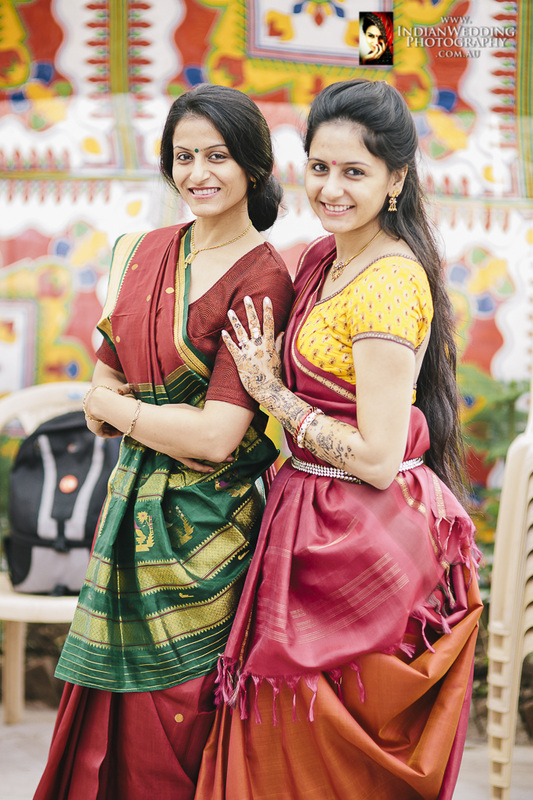 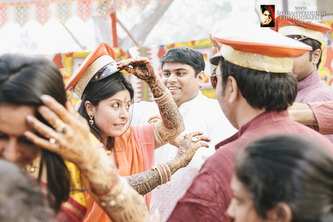 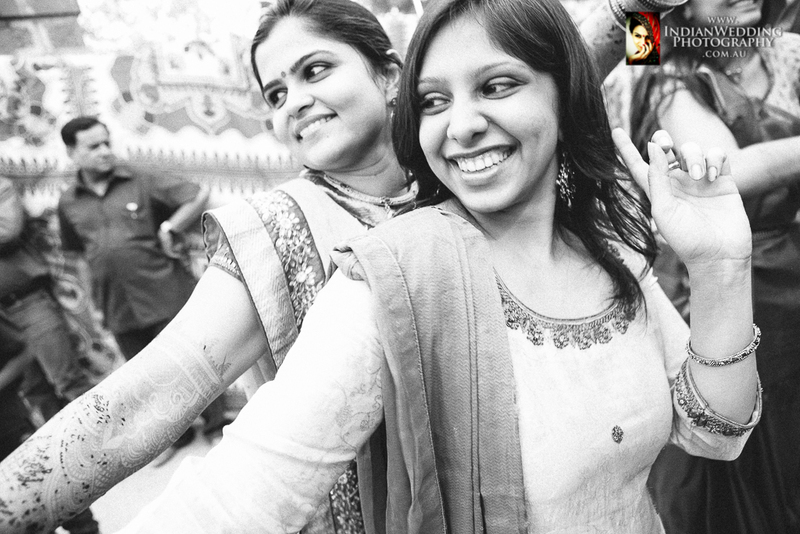 Once the haldi is washed off, the bride looks radiant and stands out in the crowd. 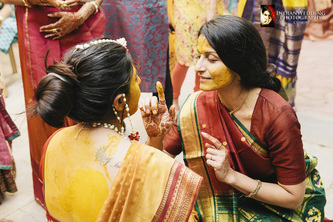 It is believed that the yellow color lightens and clears the skin of any blemishes and brings a natural shine to the face.